Untitled, New York, 1963, Gelatin silver print, 16 x 20 inches, 22.5 x 24.625 inches, framed. 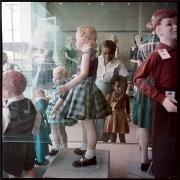 Ondria Tanner and Her Grandmother Window-shopping, Mobile, Alabama, 1956, Archival pigment print, 34 x 34 inches. 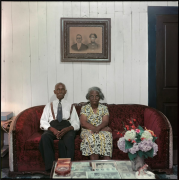 Mr. and Mrs. Albert Thornton, Mobile, Alabama, 1956, Archival pigment print, 34 x 34 inches. Invisible Man Retreat, Harlem, New York, 1952, Gelatin silver print, 20 x 24 inches. 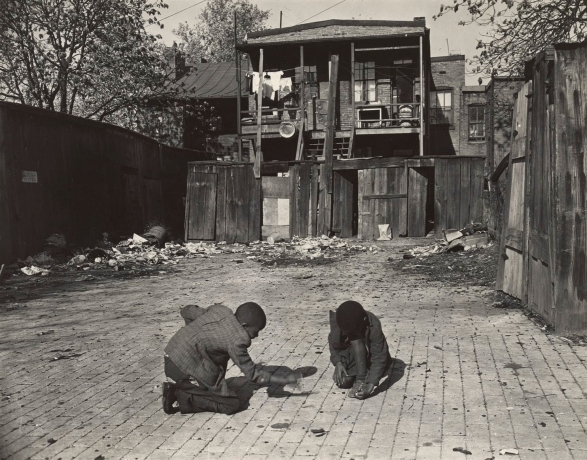 Untitled, Harlem, New York, 1952, Gelatin silver print, 16 x 20 inches. American Gothic, Washington, D.C., 1942, Gelatin silver print, 11 x 14 inches, print, 21.25 x 17.75 inches, framed. 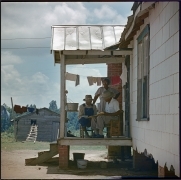 Untitled, Shady Grove, Alabama, 1956, Archival pigment print, 23.5 x 24 inches, print, 28 x 28 inches, paper, 33.25 x 33.25 inches, frame. 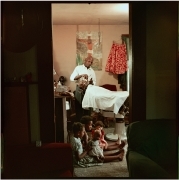 In-home Barbershop, Shady Grove, Alabama, 1956, Archival pigment print, 16 x 20 inches. 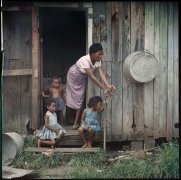 Mother and Children, Mobile, Alabama, 1956, Archival pigment print, 16 x 20 inches, print, 24.125 x 24.125 inches, framed. Gordon Parks (b. Fort Scott, Kansas, 1912-2006) is a seminal figure of twentieth century photography, whose vast body of work focused on race relations, poverty, civil rights, and urban life, documenting some of the most important aspects of American Culture from the early 1940s until his death in 2006. 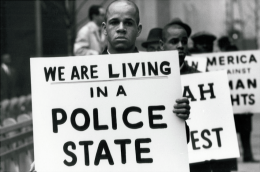 Born in 1912 to poverty and segregation, Parks taught himself photography after purchasing a camera at a pawnshop. He first worked with the Farm Security Administration (FSA), which chronicled social conditions in the United States until 1943. This position enabled Parks to develop his signature style, through which he worked to break color lines in professional photography and provide intense, expressive, and honest photographs that explored the social and economic impact of racism. In 1948, Parks became the first African American staff member at Life Magazine, where he worked from 1948-1972. 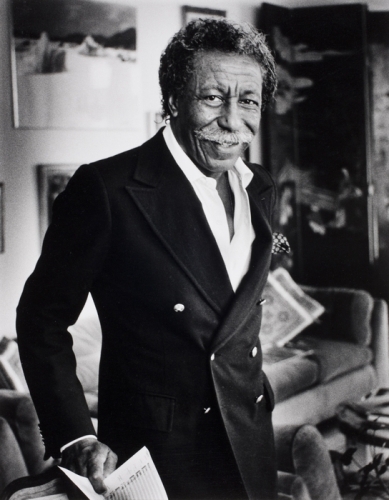 Gordon Parks has received countless awards, including the National Medal of Art, the Spingarn Medal, and the NAACP Image Hall of Fame Award. He has been exhibited at the Studio Museum in Harlem, the Birmingham Museum of Art, the New Orleans Museum of Art, the High Museum in Atlanta, and the Art Institute of Chicago. A new exhibition I am You; Selected Works 1942-1978 will travel to institutions internationally throughout the next two years and Gordon Parks: The New Tide, 1940-1950 will debut over 120 photographs and ephemera from Park’s early career at the National Gallery of Art in Washington D.C in the fall of 2018.
Review of Gordon Parks: The New Tide, Early Work 1940-1950 at the National Gallery of Art. Study of Gordon Parks's photograph American Gothic. 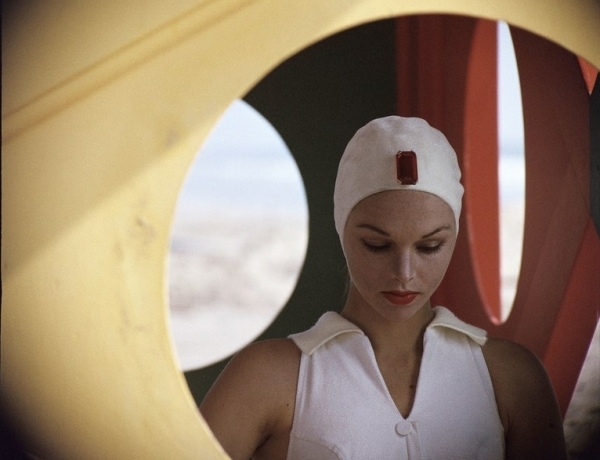 Review of I Am You | Part 1 at Jack Shainman Gallery.